YYZ Bambina: Do you have an idea for the $1,000,000 Aviva Community Fund? 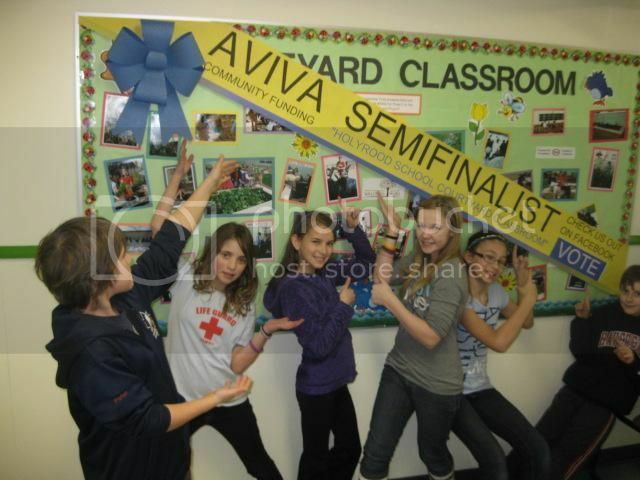 Do you have an idea for the $1,000,000 Aviva Community Fund? Do you have an idea that would benefit your community? Has your park’s playground seen better days? Does your school library need new resources? Do stray animals in your neighbourhood need help? If you have an idea, Aviva Community Fund may have the funding. For the fifth year in a row, Aviva is committing to changing the little things that make a big difference in your community. Starting on September 23, 2013 you can submit your idea for positive change and have a chance at sharing in the $1,000,000 Aviva Community Fund. If you don’t have an idea, but would like to support a cause or your community, you can promote and vote for your favourite! This is important as finalists are chosen based on the number of votes. Also, getting an insurance broker to support an idea increases the chances of winning. For the latest updates in this year’s campaign, Like Aviva Community Fund on Facebook and Follow @avivacf on Twitter. And remember to submit your idea before November 25, 2013! Aviva Insurance is an industry-leading property and casualty insurance group, providing home, automobile, leisure and lifestyle, and business insurance as well as premier claims service to people like you across Canada. Through the Aviva Community Fund, they have given over $3.5 million to Canadian communities to date. Love the Aviva projects - so cool! I should really enter one for my city. This is an amazing contest. Many times people don't know how to fund ideas they have for their local communities. I'll be sharing this.